It is with much excitement that South Pasadena High School announces our book selection for Summer Reading 2018. After hours of reading and considering the stacks of nominated books the committee has selected Born a Crime: Stories From a South African Childhood by Trevor Noah. 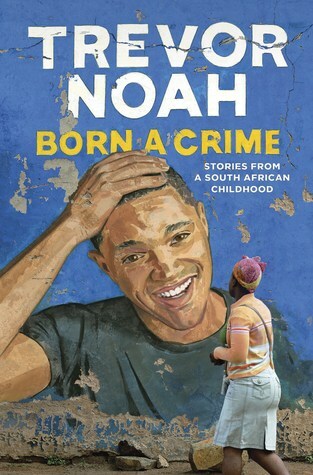 The New York Times describes Born a Crime as a “story of a mischievous young boy who grows into a restless young man as he struggles to find himself in a world where he was never supposed to exist.” In his touching yet humorous memoir Noah describes what it was like to growing up a biracial l child under the Apartheid. Each of your students will be provided a book before the end of the school year. We encourage them to take some time out of their summer to enjoy this engaging read. When school resumes in August teachers are encouraged to incorporate the many themes and messages Noah has shared (resilience, family, belonging, and Apartheid,). Students should expect to have an assignment or two attached to this reading. If you have any questions about our summer reading program, please feel free to contact Shelee Wilkerson, the SPHS Librarian at swilkerson@spusd.net. Sit back, relax, and enjoy your summer reading!!!! Don't forget South Pasadena Public Library offers a teen reading program. Why not join the fun. Need suggestions? Check out one of these websites. Need a book? Don't forget the library will be open during summer school.